Parmalat is one of the major players in the South African dairy industry and has been active in the South African dairy industry since 1998. Our brand focus is on quality and the annual array of national and international awards our products receive are testament to this. Parmalat SA (Pty) Ltd and Parmalat Africa (including South Africa, Zambia, Botswana, Swaziland and Mozambique) form part of Lactalis, a French international dairy company. Our brands include award-winning cheeses under the Parmalat, Simonsberg, Galbani, Président and Melrose brands, iconic flavoured milks such as Steri Stumpie, a range of creamy yoghurts and long life milks, butter, ice cream, cream and fruit juice. Parmalat SA also distributes ranges of milk specially formulated for children, and for people who are lactose intolerant. Parmalat’s corporate values are based on the following three core principles: Ambition, Engagement and Simplicity. Ambition refers to continuously improving the way we do our work, setting high goals and striving for excellent performance. In terms of Engagement the company focuses on accountability, loyalty, tenacity and entrepreneurship, while Parmalat strives towards Simplicity in the way we go about our business and to ensure our business methods and systems are accessible, transparent and pragmatic. Parmalat South Africa cemented its position as a Big Cheese in the South African dairy landscape by claiming three coveted Qualité awards, 13 SA Champion accolades and 15 first prizes across dairy categories at the 2019 South African Dairy Championships. Winning products in each class are crowned SA Champions, while a select few are awarded the Qualité Mark of Excellence. The 2019 event’s 75 judges ranged from dairy technologists and cheese retailers to chefs. The Parmalat products that claimed the prestigious Qualité mark of excellence are Président Extra Matured Cheddar (12 months), and two products made for Woolworths: Matured Gouda (10 months) and Extra Matured Cheddar (12 months). The Président cheese is made at PSA’s Bonnievale Plant, while the other two cheeses are made at its Ladismith Plant. Président Brie Ready-to-Eat, Parmalat Matured Cheddar (6 months), Melrose Biltong Wedges, Steri Stumpie Plus Thick Chocolate Praline, Steri Stumpie Cream Soda, YogoFun Banana Custard Low Fat Drinking Yoghurt, and the following products made for Woolworths: Matured Gouda (10 months), Continental Extra Hard Cheese (Black Wax, 20 months), Real Vanilla Dairy Ice Cream, Soft Scoop Vanilla and Berry Flavoured Ice Cream, Matured Cheddar (4 months), Extra Matured Cheddar (12 months) and Feta Black Pepper. Eugene Swarts, PSA’s General Manager, praised the teams involved in making Parmalat’s quality range of products and securing awards for products ranging from cheese and ice cream, to drinking yoghurt and flavoured milk. In addition, Parmalat claimed all top three prizes in the SA Dairy Champs category for Processed Cheese Single Portions with Melrose Biltong Wedges receiving the SA Champion title, and Melrose Cheddar Wedges in second and Melrose Sweetmilk Wedges in third place. Parmalat SA (PSA) wowed international cheese judges and won a gold and two bronze awards at the 2018 World Cheese Awards (WCA). PSA's Gold award was for its Président 12-month Mature Cheddar, while the two Bronze medals went to Parmalat Cheddar and the Woolworths 18-month Vintage Cheddar produced by Parmalat SA. PSA bettered its performance at this year's event after only claiming one Silver and one Bronze award last year. This was the 31st annual WCA and the 2018-event was held in Norway for the first time. The 2018 WCA event was judged by a team of 235 judges from 41 different countries, and 3472 cheeses competed for the top prize that this year went to a Gouda-style cheese made on a small farm in Norway. Cathy Eve, PSA Marketing Executive, has welcomed the WCA accolades for the three Parmalat Cheddars, saying these outstanding international results underline the quality of Parmalat's cheese range. "It is a clear indication of the high quality of our cheese range and the dedication and expertise of our teams. 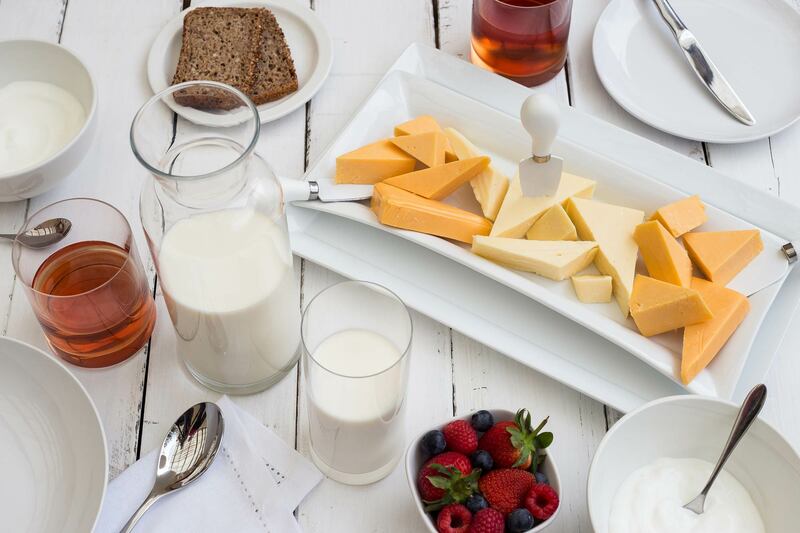 Parmalat remains committed to producing high quality dairy products and we are proud to also have this acknowledged by international cheese experts." The international accolades follow after PSA rewrote local dairy history earlier this year by claiming the prestigious Product of the Year prize for the second year running at the annual SA Dairy Championship. PSA secured the 2018 Product of the Year award for the second consecutive year for its 10-month Mature Gouda, an aromatic and full-flavoured cheese produced for Woolworths. This achievement was the first of its kind for the 185-year-old event. At the 2018 SA Dairy Championship Parmalat SA triumphed across dairy classes by claiming seven Qualité* awards and an exceptional total of 15 SA Championship prizes. The SA Dairy Championship represents the entire South African dairy industry and is perceived as one of the top dairy competitions in the world. * The Qualité award is South Africa's only officially acknowledged symbol of outstanding dairy quality and the following seven Parmalat products now carry the much desired Qualité black and gold emblem: Président Matured Gouda 6 Months, UHT Low Fat Milk, Medium Fat Yoghurt - Choc Chip, Medium Fat Yoghurt - Fruited Strawberry, as well as the following three cheeses produced for Woolworths: Matured Gouda 10 Months, Vintage Cheddar White, and Matured Gouda 20 Months. Parmalat SA has rewritten SA dairy history by claiming the prestigious Product of the Year prize for the second year running at the annual SA Dairy Championships. This achievement is a first of its kind for the 185-year-old event. PSA secured the 2018 Product of the Year award for the second consecutive year for its 10-month Mature Gouda, an aromatic and full-flavoured cheese produced for Woolworths. PSA triumphed across dairy classes by claiming seven Qualité awards and an exceptional total of 15 SA Championship prizes. Winning products in each class are crowned SA Champions, a select few are awarded the Qualité Mark of Excellence, while only the most superior of these is named as the overall Product of the Year. The Qualité award is South Africa’s only officially acknowledged symbol of outstanding dairy quality and the following seven Parmalat products will soon be sporting the much desired Qualité black and gold emblem: Président Matured Gouda 6 Months, UHT Low Fat Milk, Medium Fat Yoghurt - Choc Chip, Medium Fat Yoghurt - Fruited – Strawberry, as well as the following three cheeses produced for Woolworths: Matured Gouda 10 Months, Vintage Cheddar – White, and Matured Gouda 20 Months. This year’s SA Dairy Championship was contested by 83 producers who entered 945 dairy products. The Championship was first presented in 1834 and is the oldest of its kind in Africa. This year products competed for the attention of 84 judges ranging from food technologists and cheese retailers, to food bloggers and chefs. Parmalat won two prizes at the prestigious 2017 World Cheese Awards (WCA)* in London where more than 3000 cheeses from across the world were judged. Parmalat’s 20-month aged Mature Gouda made for Woolworths was awarded a silver medal, while Parmalat’s Medium Cheddar won a bronze award. This international nod of approval for Parmalat’s Matured Gouda produced for Woolworths follows after it was also named as the South African Product of the Year at this year’s SA Dairy Championships. The cheese is an aromatic and full-flavoured cheese. Parmalat also excelled in the rest of the 2017 SA Dairy Championship competition by winning four coveted Qualité Mark of Excellence awards and 11 SA Champion prizes. The Championship represents the entire South African dairy industry and is perceived as one of the top dairy competitions in the world. Three of PSA’s Qualité award winners are produced at its Ladismith Plant: the Simonsberg Matured Gouda, Parmalat Matured Cheddar, and the Matured Gouda (maximum age 12 months) produced for Woolworths. The fourth PSA product claiming a Qualité award is the Woolworths Vintage Cheddar (minimum age 18 months) produced at the Parmalat Bonnievale Plant. *This year was the 30th time the annual WCA event took place and the international entries were adjudicated by 230 judges. Cornish kern, a British cheese, was crowned as the overall World Champion Cheese. Parmalat SA (PSA) has asserted its position as the South African dairy industry’s big cheese by claiming the top prize at the 2017 SA Dairy Championships. PSA collected the Product of the Year award for its Matured Gouda (10 months), an aromatic and full-flavoured cheese produced for Woolworths. Parmalat also excelled in the rest of the 2017 competition by winning four coveted Qualité Mark of Excellence awards and 11 SA Champion prizes. This year’s Championship was contested by 83 producers with 854 products competing in 102 classes. Winning products are crowned SA Champions and only a select few are awarded the Qualité Mark of Excellence, while the most superior of these is named the Product of the Year. Three of PSA’s Qualité award winners are produced at its Ladismith Plant: the Simonsberg Matured Gouda, Parmalat Matured Cheddar, and the Matured Gouda (maximum age 12 months) produced for Woolworths. The fourth PSA product claiming a Qualité award is the Woolworths Vintage Cheddar (minimum age 18 months) produced at the Parmalat Bonnievale Plant. Parmalat’s 11 SA Champion prizes are for the following products: Simonsberg Matured Gouda, Parmalat Matured Cheddar, Woolworths Vintage Cheddar produced by PSA, Simonsberg Camembert (Traditional), Président Brie (Ready-to-eat), Simonsberg Brie (Cambrieni), Simonsberg Feta with Herbs, Simonsberg Blue-Veined Cheese (Creamy Blue), Melrose Full Cream Bacon Spread, Melrose IWS Cheddar Slices, and Parmalat Low Fat Chunky Cottage Cheese. Cathy Eve, PSA’s Marketing Executive, says the team is thrilled about this year’s SA Dairy Championships performance. Parmalat cheese has once again showed its class, this time impressing international cheese connoisseurs with its taste and quality. The Simonsberg 6-Month Matured Gouda has been named as a Super Gold Award winner at the World Cheese Awards in Spain. The Super Gold Awards list the world’s best cheeses and the Simonsberg Gouda was one of only two South African cheeses (and the only locally-produced hard cheese) to claim this accolade. It was also the first time a Parmalat cheese won the Super Gold Award at this prestigious annual event. The winning Simonsberg Gouda is a light creamy cheese with a milky-sweet, savoury taste, and with pleasant tastes of salt and pepper lingering in the mouth. 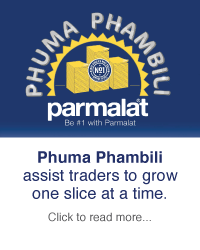 The cheese is produced at the Parmalat SA (PSA) Ladismith Plant and is available at all good retailers. More than 3 000 cheeses from 32 countries were entered for the 29th World Cheese Awards and 266 judges from 26 countries were tasked with choosing the select group of award-winning cheeses from the thousands of entries. Parmalat cheeses recorded its best overall annual performance at this year’s Awards by also securing two more gold, one silver and two bronze prizes in other cheese classes. These winners are: gold – Président Brie (class 4), and Simonsberg 24-Month Matured Gouda (class 10); silver – Simonsberg 10-Month Matured Gouda (class 16), and bronze – Parmalat Mild Cheddar (class 2), and Parmalat Smoked Salmon-flavoured Cream Cheese (class 1). 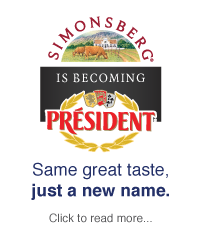 PSA announced in September that its entire Simonsberg cheese range will be rebranded as Président during the coming year. The cheese range’s name will change, but the taste and quality SA consumers love and appreciate, will remain unchanged. The full new-named range, featuring both Simonsberg and Président on-pack branding, is already on shelf. Président, one of the world’s leading cheese brands, was founded in 1968 in France. Today it is sold in over 147 countries and globally produced in more than 100 factories. Président will now share its cheese-making passion and know-how as it pairs with Simonsberg, a Parmalat-owned brand that is similarly rich in heritage and tradition. Parmalat SA emerged as the top performer at the 2016 South African Diary Championship with an unrivalled five Qualité and 12 SA Champion awards. The Championship weighed the company up against a record 85 other manufacturers and underlined Parmalat’s commitment to producing quality products. The Qualité award is the mark of excellence for dairy products in South Africa and PSA claimed the coveted award for its Round Gouda, as well as the following products produced for Woolworths: Unsalted Butter, Ice Cream with Condiments (WW Soft Scoop Vanilla and Berry Ice Cream), Matured Gouda, and Extra Hard Cheese. The PSA products named as SA Champions include Gouda, Matured Gouda and Gouda matured for 24 months, Cheddar, White Cheddar (both those matured for 6 months and for 12 months), Simonsberg Traditional Camembert, Président Ready-to-Eat Brie, Unsalted Butter, Garlic Butter, Melrose wedges and Ice Cream. André Mahoney, PSA’s Marketing Executive, says Parmalat is proud of its performance against an increasing number of competitors and products. The 2016 Championship was adjudicated by 72 judges tasked with assessing the record 886 products entered by 86 manufacturers. Parmalat’s Melrose Cheese team received the World Packaging Organisation (WPO) Packaging Excellence award at a glittering event in Milan, Italy in August 2015. The WPO awards ceremony formed part of the international IPACK-IMA 2015 expo. This was the proudly South African Melrose Wedges tub’s second international award: towards the end of last year the same Melrose packaging design was named as general winner of the AfriStar Trophy for Best Overall Packaging at the inaugural AfriStar Awards in Nairobi, Kenya. The 200g tub was also declared the winner in three other AfriStar categories: Best in Plastic, Best in Food and Best in Sustainability. The Melrose Cheese Wedges tub was developed by PSA in conjunction with Dairypack Tubs. Parmalat has emerged as one of the top performers at the 2015 Qualité Awards, claiming three prestigious Qualité awards, while no less than fifteen of its products were named as SA Champions in various classes. The Qualité mark is awarded to products of excellence and Parmalat’s awards are for Parmalat’s Salmon Flavoured Low Fat Cream Cheese, Simonsberg Low Fat Smoked Salmon Cream Cheese and the Matured (18 months old) White Cheddar Parmalat produces for Woolworths. Parmalat Round Gouda; Simonsberg Matured Gouda; Parmalat Garlic & Parsley Butter; Parmalat Processed Cheddar Spread; Simonsberg Mozzarella portions; Simonsberg Feta with Black Pepper; Parmalat Salmon Flavoured Low Fat Cream Cheese; Simonsberg Medium Fat Smoked Ham Cream Cheese; Royalty Tin Roof Dairy Ice cream, and Royalty Vanilla Dairy Ice Cream, as well as all the following products produced for Woolworths – Unsalted Butter (250g); Plain Feta; White Cheddar (12 months); Matured White Cheddar (18 months) and Matured White Cheddar (12 months). Parmalat dominated in the category for Cream Cheese with Condiments with the Parmalat Salmon Flavoured Low Fat Cream Cheese claiming first place and Simonsberg Low Fat Smoked Salmon Cream Cheese placed second. Qualité status is usually only awarded to the winner of a specific class, but in this case the judges decided that both the first and second place products would be given a Qualité award of excellence. Parmalat South Africa (PSA) secured three awards in the 2014 World Cheese Awards, underlining its commitment to producing quality cheeses that can compete with the best of the rest of the world. Parmalat’s entries were judged along with some 2700 other cheeses from 30 countries around the globe at this annual event. Bronze medal for Simonsberg Feta with Black Pepper. The Melrose Cheese Wedges tub, developed by Parmalat SA in conjunction with Dairypack Tubs, was named as general winner of the AfriStar Trophy for Best Overall Packaging at the inaugural AfriStar Awards recently hosted in Nairobi, Kenya. The 200g tub was also declared the winner in three other separate categories: Best in Plastic, Best in Food and Best in Sustainability. The new Wedges compact tub achieved a significant weight reduction compared with the previous version, while simultaneously improving branding on pack through advanced in-mould labelling (IML). The IML on parallel sides of the tub required precision equipment for accurate positioning of the label to align perfectly with the tamper tab to match the design on the label and avoid obscuring the breathing holes on the lid. With the nutritional information reverse-printed on the lid, the bottom is left unlabelled, allowing consumers to view the product clearly. Parmalat’s quality products racked up yet another first-class performance at the 2014 SA Dairy Championship, claiming an unbeatable 13 SA Championship awards for a variety of cheeses, yoghurt and butter, as well as a coveted Qualité mark of excellence. Parmalat’s excellent annual performance at these prestigious awards is testament to its commitment towards producing innovative and quality dairy products. The SA Dairy Championship was presented for the 180th time this year and Parmalat competed against 67 other producers and a total of 821 products in the various competition categories. The Championship represents the entire South African dairy industry and is perceived as one of the top dairy competitions in the world. The Qualité award is South Africa’s only officially acknowledged symbol of exceptional dairy quality and Parmalat claimed one for its Simonsberg Low Fat Smoked Salmon Cream Cheese. Simonsberg Vintage Cheddar, Simonsberg Matured Gouda, Bonnita Matured Cheddar, Simonsberg Extra Matured Cheddar, Simonsberg Ready-to-eat Camembert, Simonsberg Cambrieni, Simonsberg Low Fat Smoked Salmon Cream Cheese, Melrose Full Cream Cheddar Flavoured Cheese Spread, Melrose Full Cream Sweetmilk Cheese Spread (portions), Melrose Sweetmilk Cheese Slices, Fabulite Fat Free Plain Yoghurt, as well as the Parmalat-produced Woolworths Unsalted Butter 250g and Woolworths Mild Cheddar. Parmalat is mindful of our responsibility towards the societies we live, work and do business in. We are committed to sustainable social development through social investments, while recognising that mere social investment is not enough and that effective and long-term corporate social investment (CSI) requires a well-managed process aimed at sustainability. Parmalat strives to help meet the developmental needs of society through social investments. Our primary driver for social investments is improving the well-being of the communities in which the investments are made, not securing increased business value. Click here to view Parmalat’s latest BBEEE certificate. The lock-out at some of Parmalat SA’s (PSA) operational facilities has been terminated. After protracted negotiations between PSA and FAWU, an agreement was reached on Friday, 6 July. This will see a return to work by all striking workers by Monday, 9 July. Chris Vermeulen, PSA’s Human Resource Executive, welcomed the agreement which he regards as a fair and reasonable outcome for both parties. The agreement provides for a 7.75% increase to employees at bargaining unit level. The agreement ends the 9-day strike that had been accompanied by high levels of intimidation of non-striking workers and incidents of violence resulting in damage to property. Vermeulen lamented the fact that the strike occurred in the first place on a ‘no work, no pay’ basis, worsening the financial hardship of employees even further. The strike and consequent lock-out followed when a deadlock was reached after negotiations between the parties took place over a number of weeks. PSA implemented the lock-out of less than 700 FAWU-members last week (on Wednesday, 27 June) after the union served PSA with notice of the strike on Monday, 26 June. PSA employs a total workforce of approximately 2400 employees. Vermeulen said PSA successfully limited the impact of the strike through well-prepared contingency plans and the commitment of its non-striking workforce. Operational plans were in place to ensure that the safety of employees, contractors and customers was not negatively affected. The same applied to product supply to consumers and customers. Parmalat SA (PSA) implemented a lock-out of employees who are FAWU-members on 27 June. The lockout is effective at some of PSA’s operational facilities and commenced at midday on Wednesday 27 June. It is directed at 75% of the approximately 900 FAWU members working for PSA. PSA employs a total workforce of approximately 2400 employees. The lock-out was implemented in response to the union’s decision to embark on a strike on the 27th after giving the company 48 hours’ notice. This strike and consequent lock-out followed when a deadlock was reached after negotiations with the union over many weeks. The process included mediation by the CCMA. PSA has described the decision to strike as “disappointing given that the parties had previously, at FAWU’s request, agreed to meet again on 29 June”. Chris Vermeulen, PSA’s Human Resource Executive, says the company has indicated its willingness throughout the negotiation process to move on its offer if FAWU did the same. “It’s also important to note that the notice to strike was issued without the ballot process being followed in line with FAWU’s own constitution.” He confirmed that PSA has implemented contingency plans to ensure the safety of its employees, contractors and visitors. “Unfortunately the strike has already been accompanied by a high level of intimidation, preventing employees from working or returning to work and there have been incidents of violence resulting in damage to property,” he added. PSA indicated it will only allow union members back on its premises once the industrial action is officially and unconditionally ended and fully abandoned by FAWU. This is in accordance with standard labour relations practise and legislation. *At the start of the negotiations between PSA and FAWU the union demanded a 12% increase plus numerous other demands. After weeks of negotiations their demand stood at 9% (on 27 June) with a number of remaining demands, while the company’s offer stood at 7.3% plus a once-off payment of R500. PSA describes the union’s remaining other demands (including monthly incentive bonuses of R1000) as “substantial” and says it cannot be agreed to. 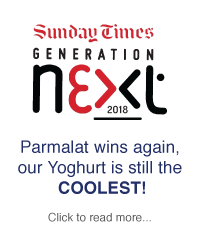 Parmalat SA’s Yoghurt has once again been voted as the ‘Coolest Yoghurt Brand’ in the 2018 Sunday Times Generation Next youth survey, claiming this accolade for the second year running. The 2018 top performing brands were announced at the highly anticipated Sunday Times Generation Next Award ceremony that took place in Sandton on Thursday, 14 June. Monica Howarth, Parmalat South Africa (PSA) Marketing Manager, says the fact that Parmalat’s yoghurt range won the top yoghurt spot in the survey for the second consecutive year is testament to the company’s ongoing commitment to great quality and good taste. “It reflects the mammoth efforts of the various teams to ensure that our deliciously creamy yoghurt range continues to deliver on the overall Parmalat brand promise of great quality.” Earlier this year two PSA yoghurts - Medium Fat Yoghurt - Choc Chip, and Medium Fat Yoghurt - Fruited – Strawberry – received Qualité awards at the annual SA Dairy Championships, accolades reserved for only a select few products. Other Parmalat products such as Steri Stumpie, Melrose Spread and EverFreshUHT Milk also claimed spots in the top ten of their respective categories in this year’s Sunday Times Generation Next Youth survey. The quality of the products it offers to consumers is of the utmost importance to Parmalat and our entire yoghurt range is Halaal-verified and certified by the Muslim Judicial Council (MJC). The ingredients and processes used, as well as Parmalat’s factories, also have MJC-accreditation. Parmalat is sensitive to and respectful of the individual dietary needs of consumers of various religious backgrounds. The Muslim Judicial Council (MJC) Halaal Trust’s accreditation of Parmalat yoghurts makes it fit for consumption by Muslim consumers. The company has complied with the MJC-guidelines for many years. The yoghurt range’s ingredients and processes rigorously adhere to the MJC’s guidelines and also meet Parmalat’s own demanding quality standards. The MJC is an organisation entrusted by the Muslim community with ensuring that food consumed is Halaal. The MJC has been active in South Africa since 1945 and its approval for Parmalat’s yoghurts is in line with universally accepted Halaal certification standards. The MJC has confirmed that all Parmalat’s ingredients, processes and factories have adhered to MJC regulations and have been verified and accredited. The Council’s certificate of approval for yoghurt is also adhered to by other leading yoghurt suppliers. Parmalat SA does not release products for human consumption that pose any health risk. PSA’s procedures for product evaluation and risk assessment are robust and regularly audited by local customers and authorities, as well as international experts. A story initially reported in Rapport newspaper on Sunday 26 March 2017 was triggered by a 2016 CCMA ruling in a case between a disgruntled employee and Parmalat South Africa (PSA). The ruling upheld the dismissal of an employee who was removed as a quality manager at a Parmalat Plant in 2014 for poor performance, including not following procedures in the identification and correction of quality issues – a critical role in any food production facility. Milk is a natural product with quality variations. As a responsible dairy processor PSA has in place specifically designed systems to detect any quality issues as early as possible, and to assess the root causes and take necessary corrective action. The allegations described in the Rapport story refer to events that took place in 2014. When a processing issue was identified, the rigorous system of identifying the cause and putting corrective action in place was initiated. This would also have formed an important aspect of the quality manager’s role. The source of the problem was in fact identified by an international expert that was asked to assist. The PSA product safety system worked. It prevented any contaminated product from being released from PSA’s Bonnievale plant to any of our customers, and consumers were never at risk. PSA is regularly audited by key customers (including retailers and other food manufacturers) and all information about production and product quality is shared openly in such relationships. PSA has not falsified any laboratory reports or deliberately withheld information with the purpose of allowing poor quality products to be distributed and sold on. As a leading company Parmalat highly values employee engagement – a good, competent and motivated work force is vital to ensure that such a large organisation runs efficiently and everyone maintains the quality standards that make up the Parmalat brand. Job specific expertise and integrity are critical – especially in quality management positions. PSA has many checks and balances to ensure that any employee who is not satisfied with his or her treatment can escalate issues via a Tip-off Line that has been in place since 2010. In this case, the allegations of mismanagement were raised after the process of dismissal had been initiated. No individual has ever been dismissed from PSA for whistleblowing. Parmalat entered openly into the CCMA hearing process, knowing full well that it is in the public domain, but being of the opinion that there was nothing to hide. 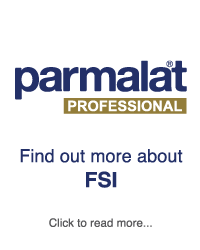 Parmalat does not wish to engage in any personal attack on the employee concerned – the employment issue has been dealt with through the relevant channels and the dismissal has been upheld. 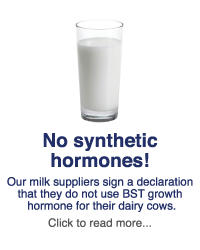 PSA manufactures a wide range of high quality dairy products. The company employs about 2500 people around the country in fields ranging from processing, packing, and distribution, to sales and marketing. The business has a worldwide reputation for good manufacturing practices and high quality products. Good practices and quality products are of the utmost importance to PSA and will not be compromised at any time. It is disappointing that unfounded allegations about Parmalat product safety have found public voice and could cause unnecessary concern. The quality of the products it offers to consumers is of the utmost importance to Parmalat and the company’s entire yoghurt range is Halaal-verified and certified by the Muslim Judicial Council (MJC). The ingredients and processes used, as well as Parmalat’s factories, also have MJC-accreditation. Parmalat has always been sensitive to and respectful of the individual dietary needs of its consumers of various religious backgrounds and is proud of the Muslim Judicial Council (MJC) Halaal Trust’s accreditation of Parmalat yoghurts, making it fit for consumption by Muslim consumers. The MJC has been active in South Africa since 1945 and its approval for Parmalat’s yoghurts is in line with universally accepted Halaal certification standards. The MJC has confirmed that all Parmalat’s ingredients, processes and factories have adhered to MJC regulations and have been verified and accredited. The Council’s certificate of approval for yoghurt is also adhered to by other leading yoghurt suppliers. André Mahoney, Parmalat SA Marketing Executive, has confirmed that Parmalat’s yoghurts are verified and certified and says the company has complied with the MJC-guidelines for many years. A record number of 879 entries from 80 producers competed for honours in this year’s SA Dairy Championship, the 181st time the dairy industry awards were presented. 61 Judges, consisting of sensory evaluators, manufacturers, chefs and food writers judged the entries earlier this year. The cheese category was the largest by far, taking up more than half of the entries for this year’s awards. Parmalat South Africa is continuing its investigation into the cause of the production problems that resulted in the full voluntary recall of a small batch of PureJoy 200ml Apple Juice earlier this week. The national recall affects the 200ml UHT apple juice with the best before (expiration) date of 14 AND 15/12/2015 (E 14.12.15). Since announcing the recall, Parmalat has proactively notified all the necessary authorities of its actions and provided all information requested. The company also continues to communicate with all the relevant the authorities. Parmalat spokesperson André Mahoney says their main objective “remains ensuring that we do everything in our power to communicate this message to consumers, and to make sure we are taking all possible action to recover as much of the product as possible. Parmalat instituted the recall after following up two consumer complaints about the 200ml juice. The company’s investigation showed that a small batch, about 300 packs, of PureJoy Apple Juice contained traces of sodium hydroxide, also known as caustic soda. Ingestion of sodium hydroxide can cause spontaneous vomiting, chest and/or abdominal pain, and/or difficulty swallowing, with excessive production of saliva. People can respond differently and consumers who drank the affected 200ml juice and have experienced these symptoms, should please consider seeking medical advice. Anyone who purchased the 200ml UHT PureJoy Apple Juice with the best before (expiration) date of 14 AND 15/12/2015 (E 14.12.15) are urged to phone 0860 66 44 22 or mail parmalat@121group.co.za for immediate collection and refund. A thorough investigation of the production records has enabled Parmalat to isolate the problem to a production time window of less than five minutes. At that time the machine initiated an unscheduled cleaning cycle, releasing a small quantity of sodium hydroxide into the line. The production line immediately reverted to normal process conditions, hence the very short window. The cause of this malfunction is still under investigation. *Sodium hydroxide (caustic soda) is used to clean and sterilise the production lines and there are no long term side effects to this chemical. The symptoms mentioned earlier usually occur immediately in the mouth and throat and may cause subsequent abdominal discomfort. Parmalat South Africa has announced the voluntary recall of a batch of 200ml UHT PureJoy Apple Juice. To date two complaints have been confirmed in connection with this incident. 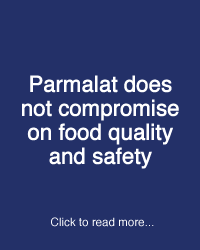 Quality is the main pillar of Parmalat’s brand promise to consumers and as a result, any possible quality and safety problems receive immediate and urgent attention. The 200ml UHT PureJoy Apple Juice complaints were followed up and the products in question were recovered for investigation. Parmalat’s investigation confirmed the products had been contaminated with cleaning chemicals, making it unfit for consumption. Ingestion of sodium hydroxide can cause spontaneous vomiting, chest and/or abdominal pain, and/or difficulty swallowing with excessive production of saliva. People can respond differently, if you experience these symptoms please consider seeking medical advice. As a precautionary measure, all 200ml UHT PureJoy Apple Juice products with an expiry date of 14 AND 15/12/2015 have subsequently been removed from shelf in the majority of retail and wholesale stores. In addition, a thorough investigation of production records has enabled Parmalat to isolate the problem to a production time window of less than five minutes. Parmalat is continuing its investigation while following the voluntary recall process. Consumers who have purchased the 200ml UHT PureJoy Apple Juice with the best before (expiration) date of 14 AND 15/12/2015 (E 14.12.15 AND 15.12.15) are urged to phone 0860 66 44 22 or mail parmalat@121group.co.za for immediate collection and refund. The voluntary recall only pertains to 200ml UHT PureJoy Apple Juice. No other Parmalat products or code dates are affected by this recall. Parmalat Cheese has won the TGI Icon Brand award for the Cheese Category for the second year running. This year’s award in this prestigious annual South African TGI Icon Brands benchmarking survey went to Parmalat Processed Cheese. Earlier this year Parmalat’s quality products also racked up yet another first-class performance at the 2014 SA Dairy Championship, claiming an unbeatable 13 SA Championship awards as well as a coveted Qualité mark of excellence. The accolades are also testament to Parmalat’s commitment towards producing quality dairy products. The internationally experienced cheese judge, Ulf Mortensen, says the general level of quality of the entries has improved since he last judged at the SA Dairy Championships in 2012. “These dairy sector awards remain at the forefront of industry recognition and are a worthy example of what other industries should try to emulate to foster innovation". Parmalat SA prides itself on the company’s focus on quality and the superiority of the milk it procures is therefore of the utmost performance. At its 2013 Supplier Quality Award function held recently, Parmalat rewarded 15 of its milk producers with cash prizes to acknowledge the top quality of the milk they provide to Parmalat across South Africa. The overall winner who received R50 000 in prize money was Pieter van Rensburg of the farm Voorrechtvlei in the Swellendam district. Pieter has been a Parmalat milk supplier for more than two decades and farms with Jerseys. Voorrechtvlei’s milk has an average bacterial level of less than 10 000 and scored full marks on Parmalat’s Milk Quality Scorecard, used to judge milk procured from January to December for the specific year. Other aspects taken into account for the Scorecard include the volume of milk, levels of butterfat and protein and the somatic cell count. In addition, the Scorecard also takes factors such as seasonality and duration of supply into account. The following 14 milk producers also received cash prizes for the exceptional quality of the milk they deliver to Parmalat: Louis Giliomee, Kragga near Heidelberg; Daan Janse van Rensburg, Spekboom in the Alexandria district; Gerhard Janse van Rensburg, Blenheim in the Alexandria district; Jannie de Kock, Hartebeesrivier Landgoed, Caledon; Pieter Groenewald, Glen Etive, Heidelberg; Pieter Rademan, Hooggeleë, Heidelberg; Hennie Eksteen, Napkysmond Boerdery, Swellendam; Thinus Giliomee, Bloemendal, Heidelberg; Deon Malherbe, Eselfontein, Ceres; Jan Schoonwinkel, Kluitjieskraal, Swellendam; Pieter Crous, Kluitjieskraal, Swellendam; Hennie Rall, Klein Tradouw, Barrydale; Japie de Kock, Sandfontein, Greyton, and Gordon Robertson, Fernbank, Knysna. Parmalat CEO Louise Cooke announced the winners in Stellenbosch and praised the milk producers for their role in Parmalat’s value chain of quality. She said the company’s major quality accolades the past year – including being the top performer at the 2013 SA Dairy Championships and being named as Cheese Category winner in the prestigious annual South African TGI Icon Brands benchmarking survey – are also testament to the company’s exceptional milk producers. Say cheese and South Africans do really think of one single quality brand: Parmalat. Parmalat’s popularity in the cheese market was underlined again when it was named as the 2013/2014 Cheese Category Winner in the prestigious annual South African TGI Icon Brands benchmarking survey*. The winners of the 2013 survey were announced in Johannesburg last week and Parmalat Cheese’s Category Winner accolade means the brand attained the highest overall score in this category. 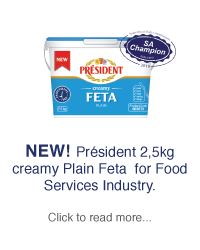 This follows hot on the heels of Parmalat’s sterling performance at the recent 2013 SA Dairy Championships where the dairy company emerged as the overall top performer for the third consecutive year by winning an incredible 16 SA Championship first prizes and three coveted Qualité awards. The annual Dairy Championships is the benchmark for local dairy products and the Qualité award is South Africa’s only officially acknowledged symbol of exceptional dairy quality. Ryk Coetzee, Marketing Manager: Cheese, says Parmalat’s top position in the Icon Brand Cheese Category underlines the overall focus on quality of Parmalat’s wide range of cheese products, ranging from matured cheeses, everyday cheese and grated cheese, to spreads and cheese slices. The 2013 TGI survey targeted 15000 consumers, representing more than 20 million adult South African consumers. Data was collected about more than 560 product categories, while 8000+ brands are included in the measurement. *The TGI (Target Group Index) Icon Brands survey data was weighted using STATS SA’s population estimates. Enumerate Area sampling design was employed and the universe includes all communities with more than 8000 inhabitants, while the participants are older than 15. The TGI data collection partner is Ask Afrika, known for their total commitment to data integrity and excellence. Parmalat’s commitment to quality once again got the nod at this year’s South African Dairy Championships. The annual event is the benchmark for local dairy products and Parmalat dominated it, emerging as the overall top performer for the third consecutive year by winning an incredible 16 SA Championship first prizes and three coveted Qualité awards. A mere 12 products were honoured with the Qualité mark of excellence this year, compared to 26 in 2012. Parmalat’s top performance in this category was for its Simonsberg Mature Gouda, as well as the Mild Cheddar (White) and Salted Butter produced for Woolworths. The Qualité award is South Africa’s only officially acknowledged symbol of exceptional dairy quality and some 800 products entered by 69 artisan and commercial producers competed for accolades at the 2013 Championships. Parmalat Rindless Gouda, Parmalat Mature Cheddar, Parmalat Vintage Cheddar, Bonnita - Round Gouda, Simonsberg - Baby Gouda, Simonsberg - Gouda, Simonsberg Camembert with Green Pepper Corns, Simonsberg Brie, Simonsberg Cambrieni, Simonsberg Feta with Herbs, Bon Blanc Semi-Hard Cheese, Melrose Full Cream Bacon cheese spread, as well as the following products produced for Woolworths: Soft Scoop Caramel Ice Cream, Mild Cheddar (White), Processed cheesy wedges (Sweetmilk) and 500g Salted Butter. The SA Dairy Championships is South Africa’s oldest and most authoritative competition and it has been organised by Agri-Expo for the past 179 years. Products entered for this year’s event were judged by a team of 59 seasoned dairy specialists, leading food editors and writers. Kobus Mulder, cheese consultant and the main judge, says the judges agreed that the variety and quality of products continue to increase. “Consumers’ expectations in terms of quality grow as their taste for cheese and their knowledge develops. Cheese makers, in turn, realise that a wide variety alone cannot account for increased sales; quality now plays the decisive role,” says Kobus. Parmalat once again took top honours in the annual South African Dairy Championships at last night’s gala dinner in Stellenbosch, securing no less than six coveted Qualité and 11 SA Championships awards and sweeping the board with its matured cheeses. The industry honours pays homage to Parmalat’s dairy prowess and commitment to quality. Simonsberg Matured Cheddar, Parmalat Extra Matured Cheddar, Parmalat Vintage Cheddar, Simonsberg Traditional Cream Cheese, as well as the Parmalat-produced Woolworths Farmhouse Cheddar and Woolworths Vintage Cheddar. With its haul of six Qualité awards Parmalat secured double the number awarded to its closest rival. Parmalat’s 2012 performance ensured that it was once again the overall top performer at this annual event that serves as a benchmark for South African dairy quality. Parmalat Extra Matured Cheddar; Parmalat Pizza Mozzarella; Simonsberg Cambrieni; Simonsberg Simonzola; Simonsberg Baby Gouda; Aylesbury Gelato Rum & Raisin Ice Cream; Melrose Cheese Spread – Bacon; Woolworths - Salted Butter; Woolworths - Garlic Butter, and Woolworths - Vintage Gouda. The 786 entries for the 2012 Championship were judged by more than 40 national and international experts. 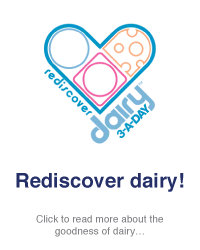 The SA Dairy Championship is the country’s largest dairy competition and Agri-Expo has been presenting it since 1834. Chief Judge Kobus Mulder said the 16% increase in the number of entries received for matured cheese indicates that consumers’ tastes are becoming more sophisticated as entries in the championship are a direct reflection of the market and consumer trends. Parmalat CEO Louise Cooke has congratulated and thanked the various teams involved in crafting Parmalat’s top quality products. “We work hard at making sure our brands and products are as good as they can be and we pride ourselves on offering consumers great quality and great value. The awards clearly show that we succeed in doing so. Parmalat SA has once again secured top honours as the overall best performer at the prestigious 2011 South Africa Dairy Championships. Parmalat bettered its 2010- performance by securing 12 South African Champion accolades and three Qualité awards at last night’s awards ceremony. The annual Agri Expo SA Dairy Championships serve as a benchmark for South African dairy quality and Parmalat’s 2011-results underline the company’s commitment to dairy quality and innovation. The Qualité Award is the only recognised symbol of outstanding dairy product quality in South Africa. Parmalat SA was the top performer in this coveted category with Qualité awards given to its Matured Cheddar (6 to 9 months), Extra Matured Cheddar (10 to 18 months), as well as a Qualité Award in the Dairy Ice Cream with condiments category where Aylesbury Royalty Stracciatella received the top accolade. A team of 41 judges were responsible for judging this year’s 833 entries from 77 large and artisanal manufacturers. Apart from its 12 SA Championship awards, Parmalat also secured 11 category second places at this year’s event. • Ice Cream with condiments for Aylesbury Gelato Rum & Raisin. Parmalat’s Marketing Executive, Cathy Eve, congratulated all the teams involved in securing the SA Championship and Qualité awards and said the excellent results were proof of Parmalat’s commitment to delivering superior products through innovation and the company’s unwavering focus on quality. Parmalat S.p.A., the Italian dairy holding company of Parmalat SA, has announced the appointment of Louise Cooke as Director and Chief Executive Officer (CEO) of Parmalat SA. Ms Cooke has more than two decades’ experience at senior manager level in the FMCG industry and will also be responsible for the executive management of Parmalat’s operations in other African countries such as Botswana, Swaziland, Mozambique and Zambia. Her appointment at Parmalat SA takes effect immediately. Parmalat S.p.A. describes Ms Cooke as an experienced commercial executive leader with a unique combination of strong strategic development skills, cross-functional operational experience and a passion for driving strategy to action through teams. Before joining Parmalat she was the Managing Director: Southern Africa for Cadbury Pty. She has held this position since 2007 and was responsible for leading the business across six key Southern African countries. Ms Cooke has an excellent understanding of all facets of a business functioning in the challenging FMCG environment. She has worked for leading international companies for the greater part of her career in employment positions ranging from Managing Director, Marketing Director and Business Development Director, to Head of Logistics. She holds a BSc (Hons) in Management Sciences from Loughborough University in Leicestershire, UK. Parmalat once again performed exceptionally well at this year's prestigious South African Dairy Championships, building on its proud record as one of the best performers at this annual event. Parmalat claimed two Qualité awards in this event that serves as a benchmark for South African dairy quality. Parmalat also walked away with ten South African Champion accolades, giving it top honours in this section of the SA Cheese Championships. Established processors such as Parmalat faced tough opposition from several small, boutique cheese producers at the event. This is the tenth year the Dairy Championship took place and a record 847 entries from 74 large and artisanal manufacturers competed for the much coveted Qualité Award for excellence. A total of 80 products were capped as SA Champions. Matured Cheddar (6 to 9 months old) – Parmalat Matured Cheddar. Parmalat CEO Nick Wentzel says the excellent 2010 performance by the company's products has again proven that Parmalat produces top quality products. "Well done to all production teams involved in producing these award-winning products. A performance of this calibre against a myriad of small boutique dairies that specialise in only one or two products is a huge compliment for a dairy company such as Parmalat whose dairy product basket ranges from UHT milk, cheeses and yoghurt to flavoured milk, maas and ice cream." • In another honour for Parmalat the company's Bonnievale and Ladismith Plant Manager Hansie Wolfaardt joined the elite group of people who are members of the SA Dairy Championship's Roll of Honour. Mr Wolfaardt's career with Parmalat spans an illustrious 36 years. During this time he has been pivotal in the growth of both these plants and he has established Ladismith and Bonnievale as cheese centres of excellence. Parmalat excelled in the 2009 World Cheese Awards by securing two gold medals as well as two bronze medals in three different classes. The gold medal went to Parmalat Stellenbosch's Simonsberg Smoked Salmon Cream Cheese and Parmalat Bonnievale's Medium Cheddar, while the two bronze medals were awarded to Parmalat Stellenbosch's Simonsberg Green Pepper Camembert and Simonsberg Simonzola. In total 2 400 cheeses from 35 countries were entered and evaluated by 160 judges from across the world for the World Cheese Awards. These latest awards crown a year of exceptional performance by Parmalat's cheeses. 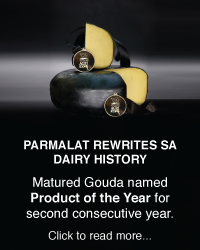 Earlier this year an Extra Mature Cheddar cheese specially made for Woolworths by Parmalat SA was also named as the 2009 SA Dairy Product of the Year and three Parmalat cheeses were also awarded prestigious Qualité awards at the SA Diary Championships. Parmalat's Marketing Manager: Cheese, Butter and Powder Ryk Coetzee has expressed his delight at the latest accolades. "The dedication and hard of from our cheese makers in Bonnievale and Simonsberg has brought more honours for Parmalat. Parmalat SA has once proved that it offers the consumer the highest quality world-class cheese by winning these exceptional awards and by being recognised by the international cheese community." Parmalat has signed the Consumer Goods Council of South Africa's (CGCSA) recently launched their Pledge on Marketing to Children. The pledge is based on World Health Organisation guidelines for healthy living.